According to workforce health professions sample data taken from the American Community Survey (ACS) done by the U.S. Census Bureau, the Health Resources and Services Administration estimates that there are approximately 272,000 pharmacists in the United States. 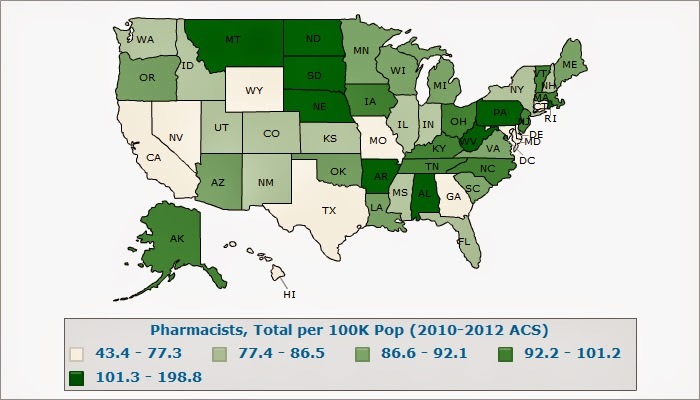 That equates to just over 87 pharmacists to serve every 100,000 U.S. residents. With an aging population, expanded health insurance coverage and ongoing new drug developments, the job outlook for Pharmacists is considerably better than the outlook for most professions. 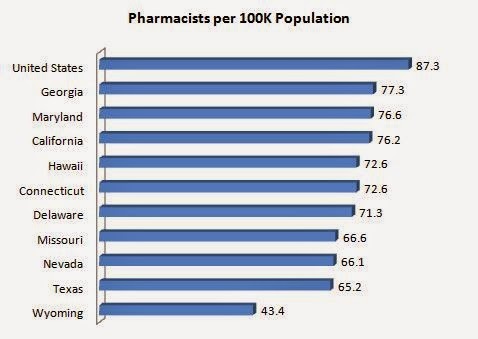 Nevertheless, with many States actually having a much heavier concentration of pharmacists than the nation as a whole, the pharmacist job outlook over the next decade will be much less certain in some regions of the country than it is in others.